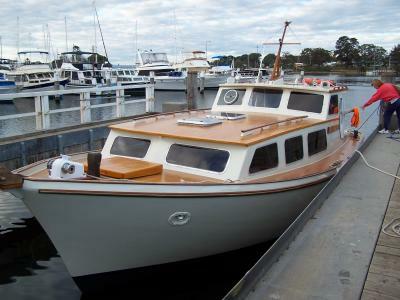 Owners Sid and Ros Hack were understandably tired of sleeping on wet bunks on their 35' wholesome pompie cruiser when they entrusted us to make things right. 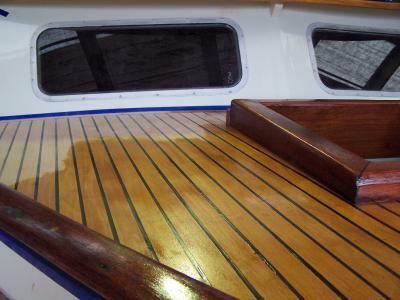 Not only did the beech laid decking over plywood leak, the cabin sides, roof and combings were also showing signs of deterioration due to ingression of rain water. Age, manner of construction and misguided but well meaning maintenance works by previous owners had all contributed to Balboa's current state. We could fix it and we did. We had to do more than planned, but less than what could have been. 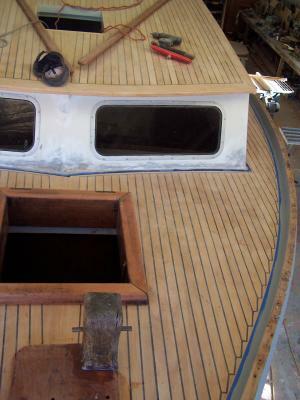 A new cabin roof over resurrected beams and shelf was overlaid with white beech. 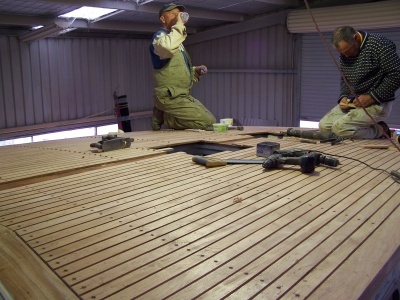 A new laid beech deck over marine plywood was sprung and nibbed to the coverboard and toerails repaired and replaced as required. 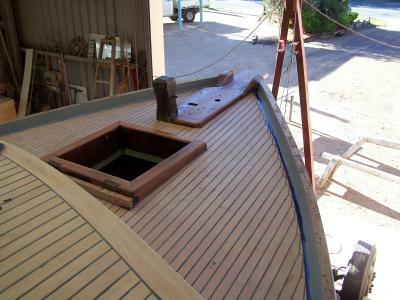 We replaced the forward hatch and then repainted the entire boat, as you do. It was a grand job for great clients. Thank you Sid for your trust, assistance and your humour. And to Ros for her great fruit cakes which would occasionally appear around smoko.